The product is isolated Pt100/PT1000/PT10/Cu50/Cu100 temperature sensor transmitter, in industry mainly used for measuring the temperature of -200 ~ +500 ℃. The transmitter has linear and long-term compensation, the factory in accordance with national standard Pt100 indexing table calibration, fully meets 0.2accuracy. 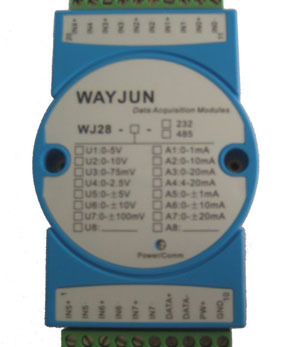 Input, output and auxiliary power supply is completely isolated (three isolation), can withstand 2500VDC isolation voltage. Products using international standards for rail mounting DIN35, small size, high precision, stable performance, cost-effective, can be widely used in petroleum, chemical, power, instrumentation and industrial control industries. Note:when you order,please note your part No.or details.